The U.S. Federal Reserve announced the re-establishment of temporary swap facilities with other major central banks on Sunday to help prevent the spread of strains to other financial centers in Europe. In a press release the Fed said it plans to provide dollar swaps for the European Central Bank, the Bank of England and the Swiss National Bank with no upper limit against fixed collateral. “In response to the re-emergence of strains in U.S. dollar short-term funding markets in Europe, the Bank of Canada, the Bank of England, the European Central Bank, the Federal Reserve, and the Swiss National Bank are announcing the re-establishment of temporary U.S. dollar liquidity swap facilities. These facilities are designed to help improve liquidity conditions in U.S. dollar funding markets and to prevent the spread of strains to other markets and financial centers. The Bank of Japan will be considering similar measures soon. Central banks will continue to work together closely as needed to address pressures in funding markets. The Bank of Japan will be considering similar measures soon. Central banks will continue to work together closely as needed to address pressures in funding markets. The Federal Open Market Committee has authorized temporary reciprocal currency arrangements (swap lines) with the Bank of Canada, the Bank of England, the European Central Bank (ECB), and the Swiss National Bank. 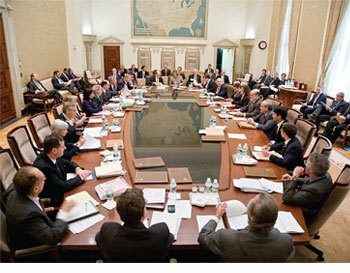 The arrangements with the Bank of England, the ECB, and the Swiss National Bank will provide these central banks with the capacity to conduct tenders of U.S. dollars in their local markets at fixed rates for full allotment, similar to arrangements that had been in place previously. The arrangement with the Bank of Canada would support drawings of up to $30 billion, as was the case previously. These swap arrangements have been authorized through January 2011. Further details on these arrangements will be available shortly.